Classic sensibilities make the Cam Side Chair elegant and refined, while clean, contemporary lines add fresh sophistication. This chair’s simple design fits well into any dining space, and its comfortable seating will delight dinner guests. 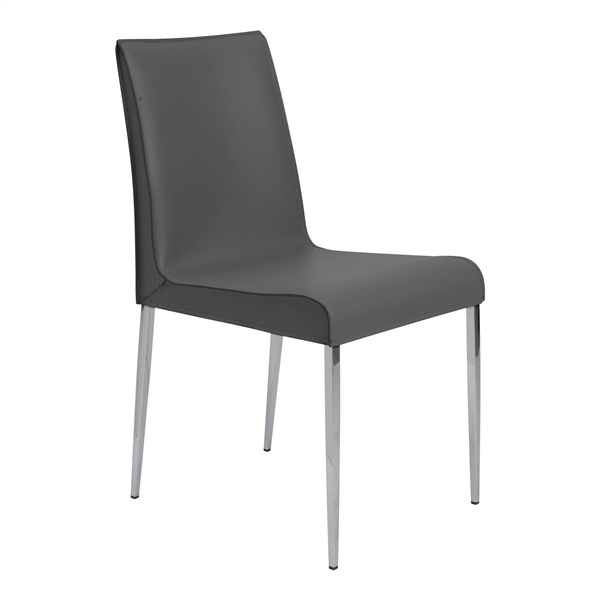 Slender, tapered legs and subtle contours make this chair graceful and poised. The legs are crafted from steel for a durable and sturdy stance that’s sure to last, and the seat and back are wrapped in quality leather upholstery for the perfect touch of luxury. Piping along the seat edges adds a subtle touch of distinction. This chair also makes an ideal occasional chair for a living area. Available in your choice of colors.